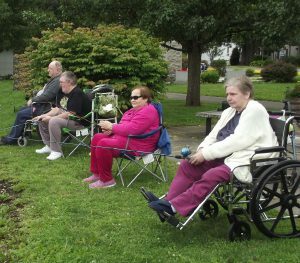 OSWEGO, NY – Residents of Morningstar Residential Care, from left: Harold Spears, Hank Racine, Ellen Hoyles and Ursula Wolcik, enjoyed an afternoon of fishing as well as a picnic lunch along the banks of the Oswego River in Minetto. 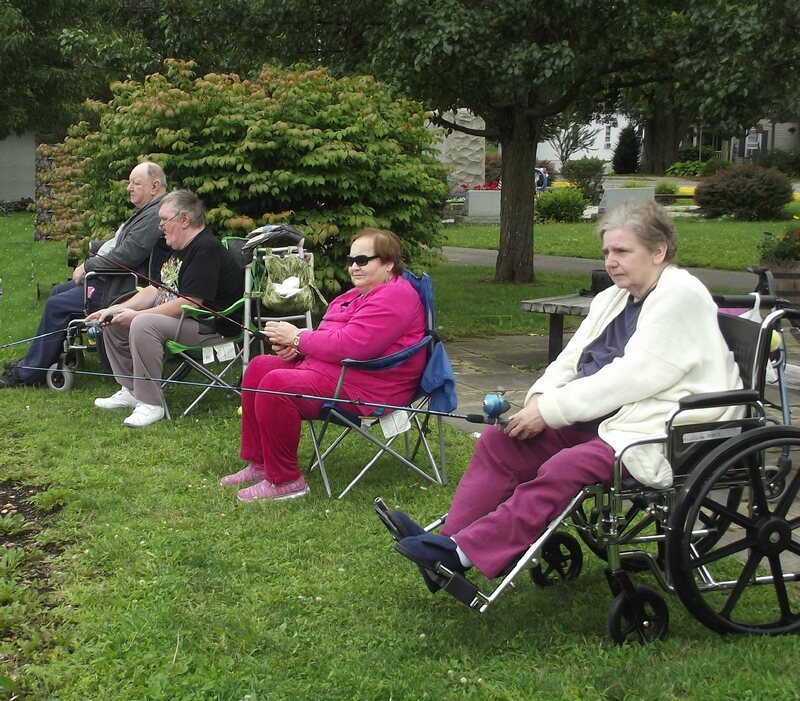 The outing was one of several off-site activities that Morningstar Residential Care Center provides for its residents. Located at 17 Sunrise Drive, Morningstar is a family-owned and operated, 120-bed long-term and sub-acute skilled nursing facility with full rehabilitation services. For more information, call (315) 342-4790 or visit www.morningstarcares.com.